There is a high likelihood that you would face YouTube full screen not working problem, no matter you are using Google Chrome, Firefox or Safari to play YouTube videos. When you google "YouTube full screen not working", there are over 38.6 million results, among which the majority are the users questions on discussions.apple, reddit, productsforum.google, Quora, etc. The effective solutions are like stones sunk into the sea, very hard to dig out. What's worse, even if you eventually find out a problem-solving post, the solutions it provides don't work. In such case, I'd like to carve out some time to analyze the potential causes, conduct hands-on tests on some solutions and seek advice from our professional tech supports to conclude some practical yet helpful solutions to solve full screen problem on YouTube. If you don't rush to do something urgent, you're strongly advised to stay here for 2 mins to have a read on the below article, which might covers some nourishing things you or your friends just need. Clear Caches, Update/Uninstall/Reinstall Browser, Disable Hardware Acceleration Still Not Work? MacX YouTube Downloader - full speed to download YouTube video. Support bulk downloading YouTube videos with 720p, 1080p, 2160p 4K, 360 VR in whatever video format/resolution. 100% FREE! 1 Click to download video from FB, Dailymotion, Vimeo, etc. 300+ sites. Watch YouTube offline in full screen, away from browser resettings, the unstable flash/HTML5 player, complex iframe modification, etc. When you are ill and see a doctor, the doctor would ask you the specific symptom and to give him as detailed information as possible. Thus, he can apply medicine according to indications. The same applies to cope with problems. When you say "YouTube full screen not working", what happens exactly? Any detailed symptom? YouTube video goes full screen but it's black? YouTube video in full screen mode but only fills part of the screen or only fills browser window not desktop screen? YouTube doesn't go full screen at all? Or you get a YouTube error message: Full Screen is unavailable? If you have such similar experience, then you can stay here to read on, for this article will center on these four cases to help you solve YouTube full screen doesn't work problem. Jump to the part you need. 1. YouTube goes full screen but it's black. 2. YouTube won't full screen completely. 3. YouTube doesn't go full screen at all. 4. YouTube Full Screen Problem: an error message. 1). Update your web browser Chrome, Safari, Firefox or IE Explorer to the latest version. 2). Update flash player. Even though the flash player updates automatically, uninstall it and reinstall the latest version flash player manually to "force" it to update. 3). Update your graphic hardware to the newest date if it is to blame for YouTube full screen not working problem. 4). Try closing the browser and reload the YouTube video. 5). Access to "Chrome://Settings" > Click "Show advanced settings" > pull down to the "System" option > rule out "Use hardware acceleration when available." to disable Chrome hardware acceleration feature. 6). For Firefox users, go to Start button > hit on RUN > type "DXDIAG" in the box > press Display Tab > disable the Direct Draw Acceleration on a box reading "DirectX Features". 7). In case YouTube screen is black on all desktop screen, you can change the YouTube URL "watch" to "watch_popup" to let YouTube work and fit full screen on browser window. This case is seemingly much more complicated than the first one. 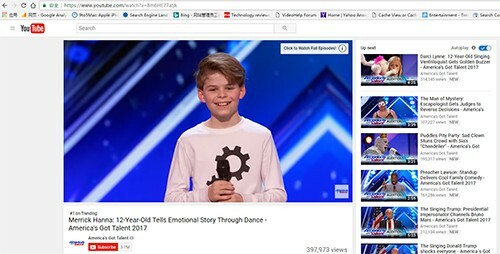 Some users say that the YouTube full screen only fits browser window, with browser's scroll bar and all PC icons visible. Others feel annoyed when they click Full Screen mode, the right and bottom part of the screen turns black or white. YouTube won't full screen completely. This dramatically tarnishes your video viewing experience. To fix this full screen YouTube not working error, the following tips are worthy of reference. 1). Make sure what you click is FullScreen icon not Cinema Mode. 2). Check if you're randomly selected to participate in a HTML5 experiment. 3). Update your flash player or HTML5 video player. 4). Clear your cache and cookies from your web browser. 5). Switch to another web browser to have a try. 6). Disable all your Chrome extensions, add-ons or plug-ins. 7). After clicking the FullScreen button, hit F11 on Windows or press Cmd+Shift+F on macOS to get the browser into full screen mode as well. 8). Head to "Chrome://Plugins" and disable Chrome built-in adobe flash player to let Chrome use the latest flash version installed on your PC. Then go back to YouTube to try again. 1). Check whether the YouTube video supports full screen or not. 2).Try Magic Actions for YouTube in the extensions site. Or access to this site: https://www.youtube.com/html5. 3). For Opera browser users, go to Opera Manu > choose Setting > click Website > Scroll down to Full Screen > Opt for Manage Exception > select Blocked Option Delete It > go back to YouTube to full screen YouTube again. 4). Try to update the video drivers, reinstall Chrome and reboot your computer, and later check once. I'm trying to full screen a Youtube video but clicking on the Full Screen button in Youtube gives this error message: Full screen is unavailable. I am using Safari 9.1.1 on El capitan and overtime I fullscreen a video the minimise screen box greys out and gives me the message that full screen mode is unavailable, even though I am in fullscreen!! This causes the player to stay and annoy me during playback. 1). Use anti-virus program to detect and clean up some hidden malicious viruses alongside with your re-downloaded Adobe Flash player or other software. 2). Sign out of your account > clear caches and cookies on your Safari > Update Safari to the latest version. If this still doesn't fix YouTube not working in full screen mode problem, uninstall and reinstall Safari or resort to other web browsers. 3). Disable all extensions and plug-ins. 4). 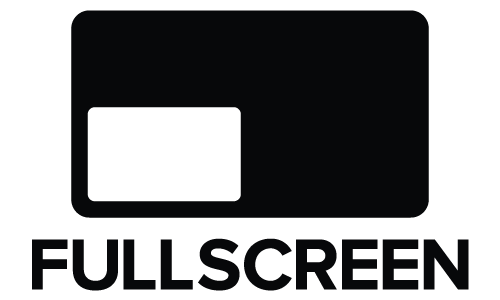 Add allowfullscreen="allowfullscreen" attribute to the "parent" iframe. Alternatively, change "allowfullscreen" to "allowFullScreen" with uppercase "F" and "S". 5). In the iframe, YouTube adopts a video URL of the pattern //www.youtube.com/v/videoidhere. change /v/ to /embed/ in the YouTube URL to test if it works to fix full screen problem on YouTube. 6). A quick fix is to simply right-click "pop-out" and play YouTube video in the YouTube TV player. 7). Try to open and watch YouTube video in full screen mode on Keyamp. 8). Check whether the YouTube video has 144p resolution option or not: full screen doesn't work on YouTube video with 144p resolution option while it works for video without 144p option. If you think the above solutions are troublesome and time-consuming, you can try the most simple way - free download video from YouTube. Thus, you can offline play YouTube with full screen without the complex Chrome settings, iframe modification, uninstall/reinstall procedures, flash/HTML5 player updates, etc. To download YouTube video free, MacX YouTube Downloader can be your primary choice. * 100% free download video from YouTube with whatever resolution and video format, 720p, 1080p, 2160p, MP4, MOV, FLV, AVI, MKV, etc. * Powerful video URL analysis and download engines lets you batch download YouTube videos without any crash or frozen problems, stable as stone buddha. * Over 5 million users choose it to download video from Facebook, Vimeo, Vevo, Myspace, Metacafe, Dailymotion, etc. 300+ video sharing sites at full speed. 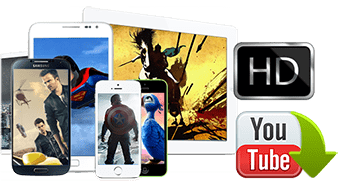 * Auto add YouTube MP4 video to iTunes library for later iPhone iPad iPod sync to offline view not only on PC but also on mobile devices in full screen. Step 1: Free download YouTube video downloader on your computer, and then launch it. Copy the URL of the YouTube video page. 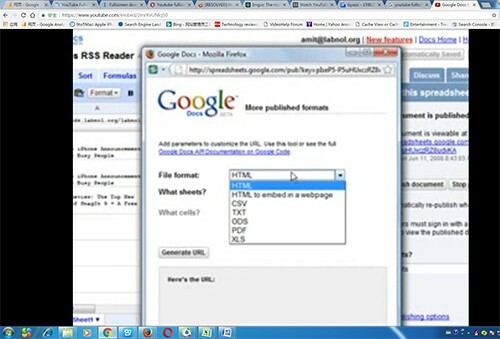 Afterwards, paste the URL and click "analyze" to load the YouTube video details. 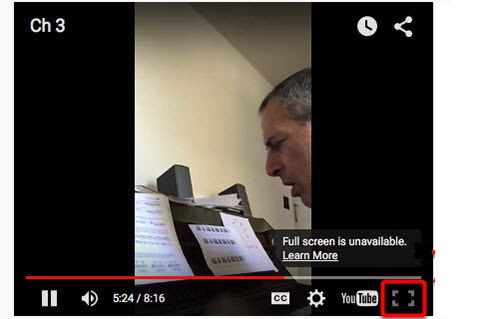 Or click "paste & analyze" button to automatically detect the YouTube video opened in browse. Step 2: Choose video format, resolution, codec and file size you desire. Optional: hit "Browse" button to specify an output folder on your computer to save the output files. Step 3: Click "Download Now" to start to free download video from YouTube on computer. We will constantly update this article if there is some useful solutions we find and test out. Your personal solutions and advice are also warmly welcomed. Feel free to make comments or E-mail us if you get better solutions to share with us. Solve YouTube Full Screen Not Working Problem - One Trick Only! That's is downloading YouTube video for offline full screen playback, away from the complicated browser settings adjustment, iframe modification or endless uninstall/reinstall process. MacX YouTube Downloader can easily and fast download video from YouTube of any format/resolution, as well as Facebook, Vimeo, Vevo, Myspace, Dailymotion, Metacafe, etc. 300+ sites. How to download YouTube HD video with free YTD downloader. Review on best free video downloader for macOS. 3 clicks to download YouTube movies free of charge. Easy way to extract MP3 music from YouTube video.